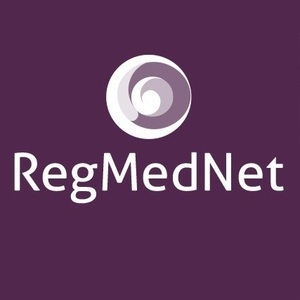 Regenerative medicine and iPSCs are the topic of a 2-month focus on RegMedNet, featuring a variety of content types and covering various key topics and issues in the field, such as challenges in the consistent, safe and effective production of iPSCs, clinical applications and the future for iPSCs in healthcare. Welcome to the RegMedNet spotlight on iPSCs! Induced pluripotent stem cells (iPSCs) are arguably one of the hottest topics within regenerative medicine. The first generation of iPSCs 10 years ago marked a huge milestone in the field, leading to great progress from disease modeling to development of new, personalized therapeutic approaches for numerous conditions. Key advantages include the potential low-cost manufacture of personalized medicines, omitting the need to use embryonic or fetal stem cells, efficiency of genetic manipulation compared with somatic cells and providing a source for cells that may otherwise have been difficult to obtain. However, only one human trial using iPSCs has been carried out to date: in September 2014, a Japanese research team became the world’s first to commence a clinical trial using iPSCs, with autologous transplantation of iPSC-derived retinal cells. The trial was halted owing to safety concerns, but is set to recommence in 2017 – but it is key to note that this first patient was treated only 7 years after iPSCs were first discovered by Yamanaka, reflecting the speed that the iPSC field is progressing. The spotlight on iPSCs will be a 2-month focus on iPSCs and regenerative medicine featuring a variety of content types, including journal articles, exclusive interviews and editorials, and a survey, infographic and panel discussion. It will discuss key topics and issues in the field, such as the current challenges in the production of these cells, with a focus on consistency, safety and efficacy. It will also discuss the potential clinical applications of iPSCs for regenerative medicine applications, and how these therapies are going to evolve and change healthcare in the coming years. We hope you enjoy the spotlight and welcome any queries and feedback! And don't forget, you are welcome to share your own news, research and opinion on this topic through your own posts or comments. Many Kinds of Pluripotent Stem Cells, Which are Better for What? Is Banking of HLA-typed iPS Cell Lines for Cell-Based Therapy Practical, Sustainable and Commercially Feasible? Why use Standardized Kits when Differentiating Pluripotent Stem Cells?